At Air & Water Home Environment Centre Inc. we are water treatment specialists. We deal with all types of water treatment devices, and we service, sell, and build custom water conditioners to handle a wide variety of water conditions. 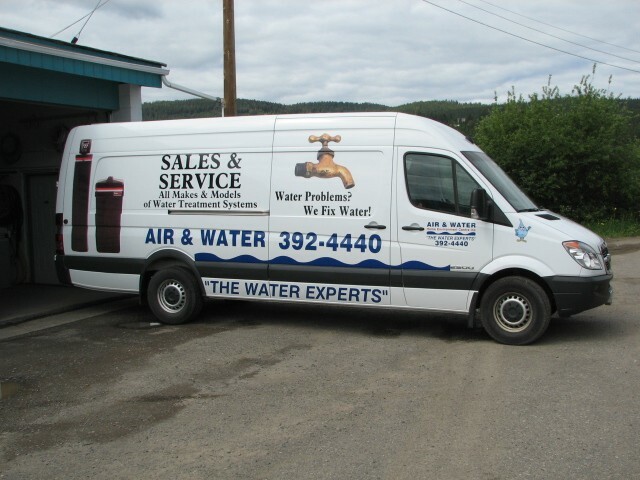 Our service van is a plumbing and water treatment store on wheels! It is fully stocked with parts for most types of residential water treatment devices. We are based in Williams Lake, BC and serve customers throughout the surrounding area, including: 150 Mile House, 108 Mile House, 100 Mile House, Quesnel, West Chilcotin, The “Cariboo”, Horse Lake, Bridge Lake., Little Fort, Horsefly and Likely. We provide solutions that are efficient and as maintenance-free as possible. We also provide details on all equipment options and the associated operating costs for comparison. We will only sell you what you really need, and won’t try to fix something we can’t.